Mark Franz is from Germany, a painter, preferred to paint in expressionism style. In order to depict animals as accurately and completely as possible – specifically studied the anatomy of animals. 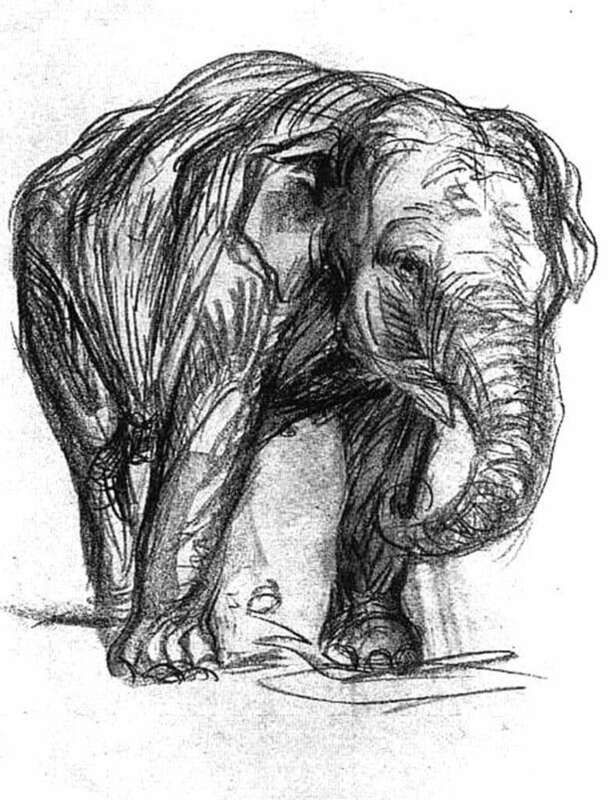 This allowed him in the picture “Elephant” as accurately as possible to convey his vision of the animal world in art. Franz considered a person unworthy to appear on his canvas. The author wanted to create his own world, where he embodied all his fantasies, his vision of a picture where harmony reigns, peace and silence. The best and most recognized paintings by Franz Mark are images of animals. The painter tried to show in “Elephant” the creative power of nature, fauna, all creativity. People seemed ugly to the author, the animals for Mark were higher beings, something more than just a man. With his paintings, the artist wanted the perception of organic rhythm to be greatly exacerbated, so that people would expand the sense of the world, as life and blood in the flora, fauna, and air would pulsate. He could not imagine another way in which to revive art and creativity than to depict the animal world. Animal vision of the picture of all living things is something inaccessible to the ordinary person. Mark believed that there is nothing more mysterious than the reflection of flora and fauna in the eyes of animals. He tried to understand how the beasts see our world, what they see.